Shachmono is one of Neon's bodyguards. 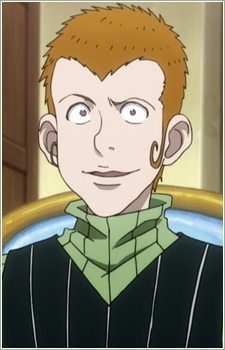 He is one of the two spies in Kurapika's test. Shachmono is a professional hunter. He is from the Emission group. His hatsu is the ability to summon 11 assassin's made out of nen. They can wander only several meters and only respond to simple commands.